As happily as we’ll experiment with just about any brand of skincare – all in the name of research, of course – it’s the K-Beauty products that we swear by at Savoir Flair. They pair clean, natural ingredients with cutting-edge technology, but more importantly? They deliver what they claim to deliver. And luckily for Dubai residents, there’s a new spot in town boasting the best of SoKo skincare: Lamise Beauty. Many a beauty buff has yet to discover the store owing to its somewhat discreet location inside a lofty Asian supermarket by the name of 1004 Gourmet, but Lamise Beauty has actually existed online since 2017. This, however, is no ordinary Korean beauty boutique. Here, the products on offer are curated by founder Kate Park to match the region’s climate – read: very hot and very dry. The entrepreneur is passionate about tailoring her selection to the needs of women in the Middle East, and even took some time to share some of her insights with us. Here’s what we learned. Considering that the skin is the body’s biggest organ, taking care of it is of the utmost importance. However, instead of lathering on layer after layer, Park recommends being methodic about the quantity (using too much can cause breakouts) and frequency of use. This is especially applicable when it comes to exfoliation. 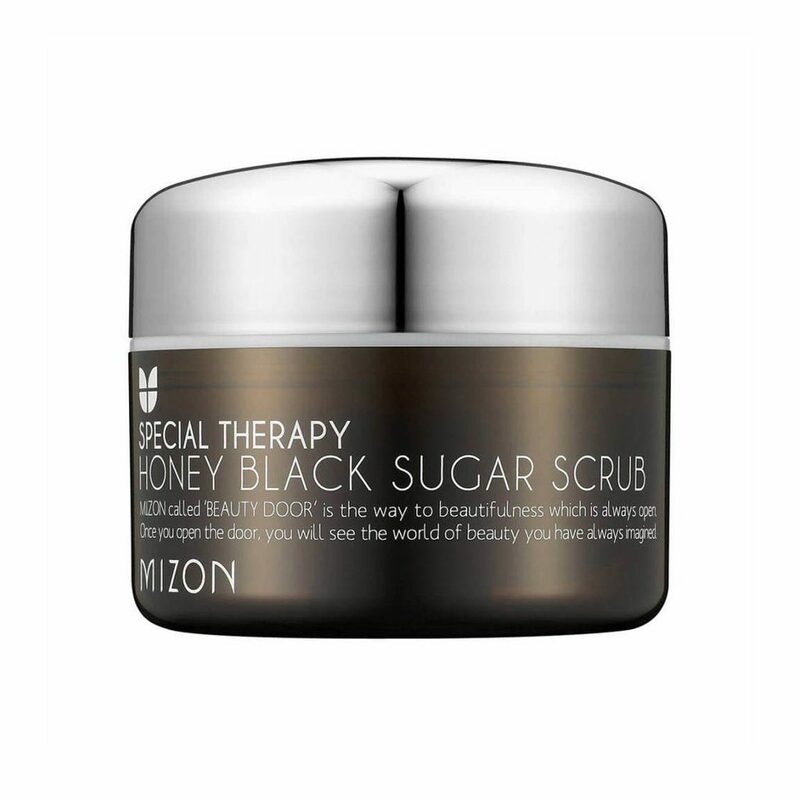 She suggests using the Mizon ‘Honey Black Sugar Scrub’ only two or three times a week. Formulated with honey, black-sugar powder, and various plant oils, it gently removes dead skin cells, leaving the skin velvety soft. Perhaps the biggest factor that separates SoKo skincare products from the rest is their abundance of nutrient-rich ingredients. Snail essence – also known as snail secretion – in Cosrx items is utilized for the mucin, which is full of glycoproteins, hyaluronic acid, and glycolic acid that helps seal in moisture. The seed oil from the Sahara prickly pear is the key ingredient in Huxley’s products, and helps boost antioxidants in the skin. Harakeke flowers in The Saem’s formulas fight inflammation and maintain the skin’s pH balance. Clearly, exploiting nature’s finest is a cornerstone of K-Beauty. A basic routine isn't a bad thing. With a plethora of products to choose from, creating a skincare routine can seem a little daunting at first. However, according to Park, if you are short on time or unfamiliar with the basics, these six products are key for healthy skin: an exfoliator, a toner, an essence, a serum, a moisturizer, and a sunblock. And while many swear by the ten-step routine – which does have its benefits – Park says a minimalist skincare routine is just as effective if you’re pressed for time. Combatting signs of aging is simple. Women often wonder about the age at which to start using anti-wrinkle products. However, everyone’s skin ages differently due to a number of factors – lifestyle, genetics, and surroundings included – so there’s no hard and fast rule there. Having said that, there are signs to look out for. Park attributes dryness in particular as the biggest reason for skin aging prematurely. Women in their 20s and 30s can take preventative measures by hydrating their skin, avoiding overly rich creams that can cause breakouts, and establishing a routine that includes exfoliating several times a week. Meanwhile, those in their 40s should look for hydrating products and treatment serums. Women in their 50s and 60s find that dry skin and deep wrinkles become more prominent, for which Park recommends Bomnal products due to their rich ingredients like 24-karat gold and lingzhi mushrooms. As the K-Beauty industry boomed, so did the counterfeit market unfortunately. Park warns about purchasing from unauthorized vendors, citing instances of buyers being fooled by well-replicated packaging of cult favorites that contained unregulated ingredients. Because of this, she sources the products that she carries straight from the brands themselves, so authenticity is guaranteed. Not all skin types are created equal. Be it oily, combination, sensitive, or dry, everyone’s skin undergoes significant damage on a daily basis. But worry not because K-Beauty truly has something for everyone. New moms looking for safe baby products, vegans seeking cruelty-free labels, teenagers trying to tackle acne, and men in need of some skin rejuvenation – all are welcome and catered to at Lamise Beauty. We also love the fact that Park has deliberately created both a welcoming environment and a product selection that is extensive without feeling overwhelming.